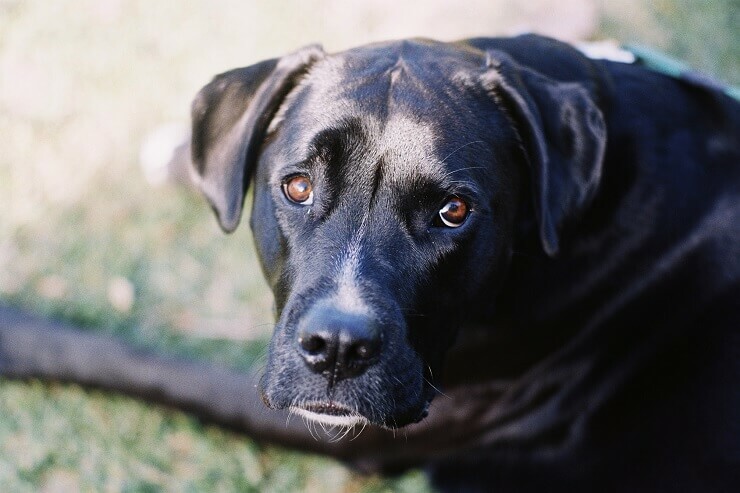 The Boxer Lab mix, affectionately known as the Boxador, is a cross between two of the most popular dog breeds. 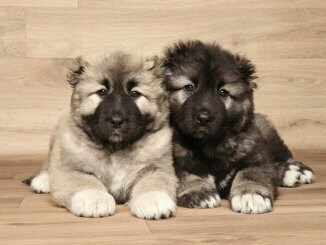 When you cross these two breeds you get a loveable dog who is intelligent and very energetic. Tapping into Boxer’s guarding tendency, the Boxador can be fiercely protective, instantly adopting the protective role of children that they bond with. 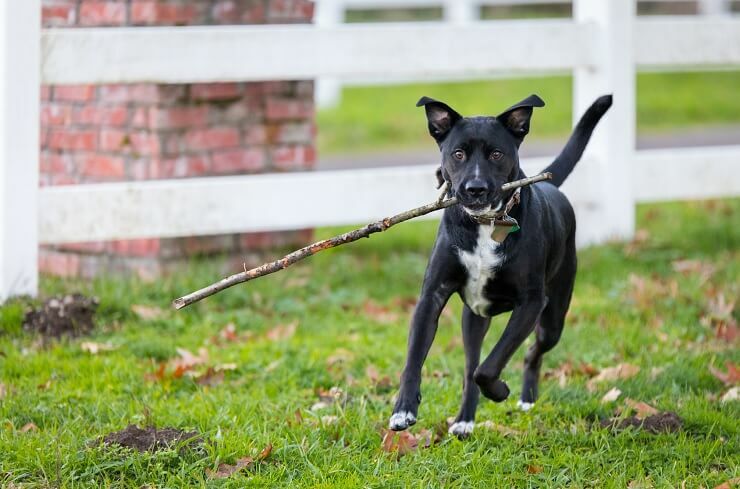 What is a Boxer Lab Mix (Overview)? Are They A Good Family Dog? How Much Do Boxer Lab Mixes Cost? The mix of the Labrador and Boxer come together in the form of the Boxer Lab Mix. A large, energetic and friendly dog that will never cease to provide you and your family with hours of active fun and entertainment. They are medium-high in maintenance as far as grooming goes. In terms of temperament, it will mainly be dependent on what they get from their parents. From the Labrador side you can expect a sporting dog, historically used to retrieve fowl. From the Boxer side, you can expect guarding behavior. The friendliness and tenacity of the cross allows for enjoyable training sessions if you are willing to give your all to a dog that will give their all to you. They require high levels of mental and physical stimulation which can result in destructive behavior if not satisfied. Taking after its Boxer parent, the coat of the Boxador tends to be short, silky and sleek. Regardless of the length, their coat still can cause a large amount of shedding due to the high shedding potential of both parents. You can expect a large sized dog weighing up to 75lbs. As a designer dog, you can expect it to come in a variety of colors based on the color of their parents. These will tend to be brighter from the Lab (brown or tan), or duller colors from the Boxer (black or white). In terms of markings, more often than not the Boxador will have a flash on its face that contrasts to its main coat color. They may also have white patches on the feet, chest and belly areas. It can sometimes be difficult to determine the height and weight of cross breeds because there can be a large amount of variance. However we can look at the measurements of the parents and get a reasonable idea at how big you can expect a Boxer Lab Mix to be. The Lab is classed as a large dog and should stand between 22-24 inches tall and weigh 55-80lbs. Whereas the Boxer is a medium dog measuring 22-25 inches tall and weighing between 55-71lbs. When you combine these together you can expect the Boxador to be a medium/large sized dog standing between 22-25 inches tall and weighing between 55-75lbs. Brindle can occur when the colors of both parents mix, and this is more common than you may think. Often the Boxador will have a nice glossy short coat thanks to their sleek Boxer parentage. However, a short coat does not mean there is no shedding. During shedding season you will find yourself at the mercy of this cross breed, that’s for sure. Occasionally you do find Boxador with longer coats (from their Lab parent), but this is rare. Just like their Appearance, trying to predict the personality of a cross breed can be tricky, but you can look at their parents and it will give you a good indication. High levels of energy — can be accident prone thanks to hyperactivity. Increased levels of playfulness — will never pass up opportunities for play. Very obedient and love to please. The combined effects of the high energy levels and playfulness will mean that usually the Boxador will not be a docile dog that is content to lay down and be petted all day. They are very much an active dog that require lots of mental and physical stimulation. Without this you run the risk of boredom and increase the chance of destructive behavior. Both breeds do not bark very often therefore you should not expect much barking from this mix. If they do bark it will likely be due to feelings such as fear or hostility especially to new people that enter the home. Boxadors can be very protective over their owners but give them some time and they will figure out there is no threat to them or you. The boxer in particular, has been known to be prone to separation anxiety, so you should avoid leaving them alone for extended periods of time. Whether or not your Boxador is more Lab or more Boxer is random based on their genetics. So if you love the guarding capability of the Boxer rather than the passive nature of the Lab you can encourage these behaviors using positive reinforcement as they may be there but just a little more hidden than you would like. Guarding behaviour — can make an excellent guard dog, looking out for threats and being a little hostile around new people that enter the family home. Separation anxiety — can become very anxious when being left alone, howling and moaning when you are about to leave the house. Loveable but not a lapdog, a little tougher than the Lab but not as tough as the Boxer. Very playful and bouncy — lots of energy and look for every outlet to express this energy. Yes, the Boxer Lab Mix makes a great family dog. Do not allow for the large and sometimes boisterous nature of the Boxador to put you off. They are very friendly and will take to children instantly. 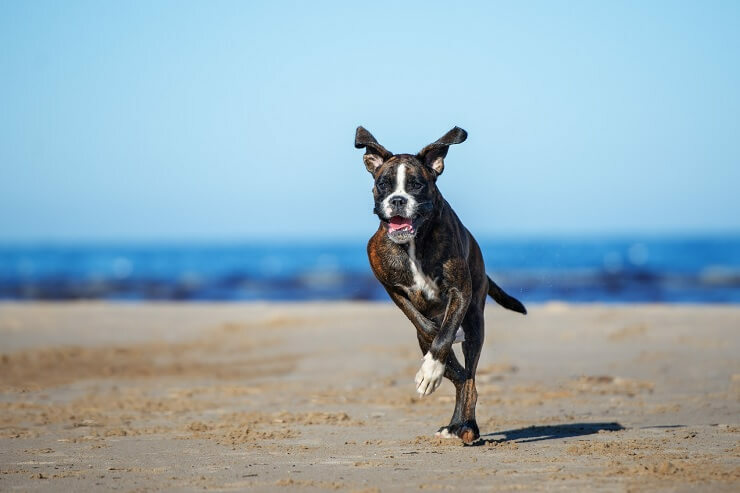 Training is vital for any breed of dog, especially when considering the high mental stimulation requirements that are born from the cross between the Lab and the Boxer. As with any dog, you do not want to use punishment as a training mechanism. This is especially with the Boxador as using negative reinforcement can lead to strong feelings of betrayal. Thanks to the high levels of self-confidence of the Boxer and the Lab’s natural obedience, the Boxador is a delight to train. 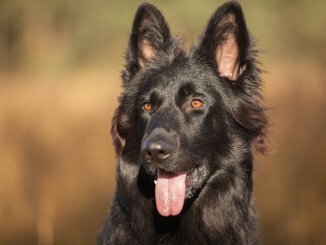 To aid training for the breed, positive reinforcement allows for negative behavior to be quickly trained out. Through the combined intellect of the Lab and the Boxer, associations can quickly be made between reward and behavior. In fact, some have reported that their Boxador has been potty trained in as little as 2-3 weeks, and tricks have been learnt after only 2-3 attempts. Due to their innate friendliness towards other dogs, socialization is easy. 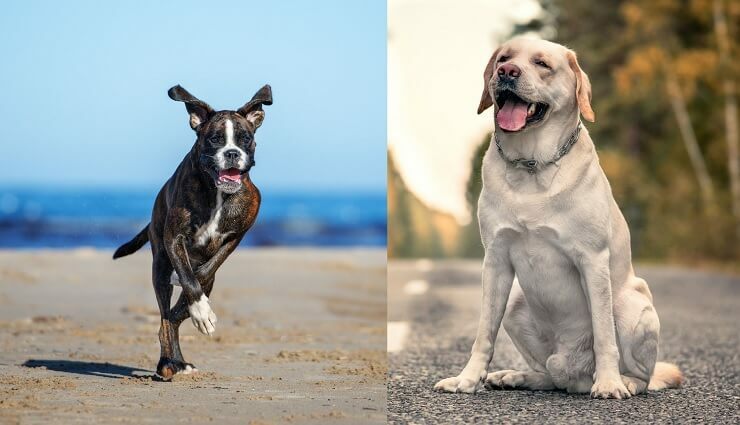 The Lab and Boxer have both been known to chase after other dogs in pursuit of friendship. However, this can be quickly trained out and socialization from an early age can reduce the excitement to seeing new dogs. This can be done with either a person or a favorite toy. Hide the toy in a hidden place and allow the dog to find it using their senses of smell and sight. This game uses more multiple sense and helps them burn some of their energy off. Sit with the puppy between two people and call them over, each time rewarding with treats or hugs. This game promotes both recall and obedience behavior. To do this you should place something that your dog wants just in front of them while they sit or lay down and tell them to leave it. If they do not go for the treat or toy they can have it. This teaches them restraint and helps them overcome mentally hyperactivity. A little more demanding than some other cross breeds, the Boxador has a high exercise requirement. Not only this, thanks to its high mental ability, mental stimulation plays a key role in the training and care for the Boxer Lab mix. In terms of grooming, during off molt-seasons, maintenance is relatively easy going, but this can get a tad challenging when these seasons come into swing. Large quantities of physical activity are needed, as both the Lab and the Boxer absolutely live for the outdoors. They will definitely keep you fit. Classified as a large dog, at least one and a half hours of strenuous exercise is needed each day to prevent boredom. Being set free in a garden is simply not enough to fuel the appetite of these lively dogs. Off leash free running using different ball types, can increase the quality of the walk. Sound balls — ones that whistle when they are thrown or rattle when they hit the ground. Glow balls — especially useful in low light walks. Aromatic balls — allow for scent tracking. These allow for a multiple senses to be stimulated playing into the tracking capabilities of both parents. Fortunately both of its parent breeds are relatively low maintenance and the Boxador is also; the only exception to this is during shedding season. During this time you can expect to see a surprising amount of hair produced from your short haired and silky Boxador. This is the same with other Lab mixes. To keep on top of their grooming needs brushing should be done at least once a week with occasional washing. During the shedding season you will want to increase the brushing frequency to every day. This will help reduce fury deposits around your home. It’s important with the Boxador to feed them a high protein diet; this will help keep their coat glossy. You should follow a general guideline of 30% protein (minimum), 15% fat, and 55% carbohydrates. 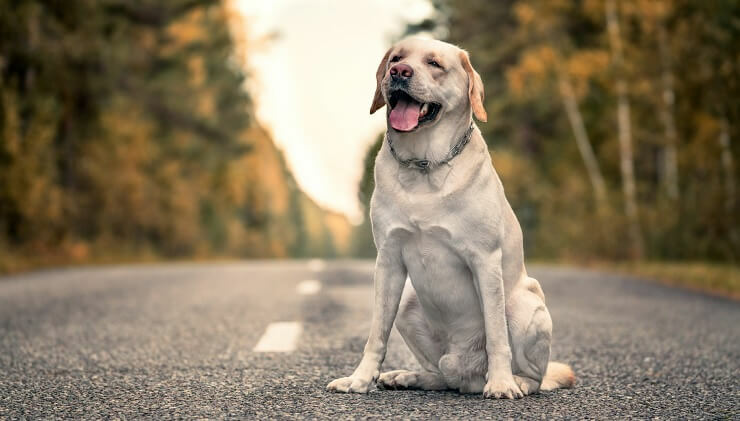 As many Labs are allergic to grains, we would recommend you feed them either a wet feed or raw food. However, whilst it is good to look at what they should eat it is also important to look at how often they should eat. To understand this it is best to look at the Labrador rather than a Boxer. The amount of feed also depends on the quality of the food and its nutritional value; generally more expensive means better nutrition. Remember that Labs are often allergic to food like grains so will need more expensive raw feed. When your Boxador hits maturity they will require less food. You should aim to feed them twice a day between 1100-1600 calories. Remember Labs have a tendency to gain weight so you should weigh them often to keep their weight in hand. Cancer – Boxers have a higher chance of cancer when compared to other breeds. Joint dysplasia – this is caused by growth abnormalities which can lead to arthritis. Hypothyroidism – this is caused by increased activity in the thyroid gland and leads to excessive weight loss and an increased appetite. Heart Defects – cardiomyopathy is common for Boxers leading to irregular heartbeats. Digestion problems – Boxadors are prone to bloating, so food should be separated instead of being given all at once. Allergies – it is common for Labs to be allergic to grain, so grain free diets should be used. How Long Do Boxer Lab Mixes Live? You can expect a healthy Boxer Lab Mix to live for 9-11 years. Remember when buying you should look for a reputable breeder. There are certain guidelines to follow. You do not need the heart ache of finding out that your pup was from a puppy farm. No one wants to know that their puppy has gone through the horrors of puppy farming. If you want a Boxador more like a Lab look for those that are friendlier and approach first when visiting. 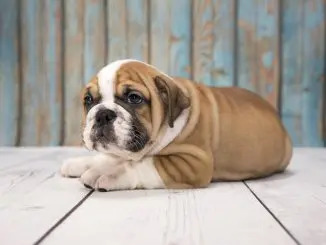 But, if you are looking for a more Boxer like dog go for those that are more reserved and will approach you only when the initial fanfare is over. They can be a little apprehensive to start with around new people – however, this should not result in aggression. You should expect to pay between $300-$700 for a Boxador. This is the price for a puppy, rescuing or buying an older dog will be much cheaper. If you have the time, energy and space for the Boxador you should definitely consider them for your next family companion. This is an active dog that thrives outdoors. You can spend time doing things like hiking together thanks to this dog’s seemingly unlimited energy. Remember though you need to be vigilant with their exercise and diet. A poor diet and lack of exercise will result in obesity. They can also suffer from separation anxiety, but this is to be expected with such a loyal and affectionate dog.